After a full day of seeing the sights, it was nice to wander down to the water and catch the sunset. This was the most amazing tree I have seen in a while. It’s limbs spread shade over a circle that must have been about 100 feet wide. It’s obviously revered by the locals. The trunk is protected by a small fence. 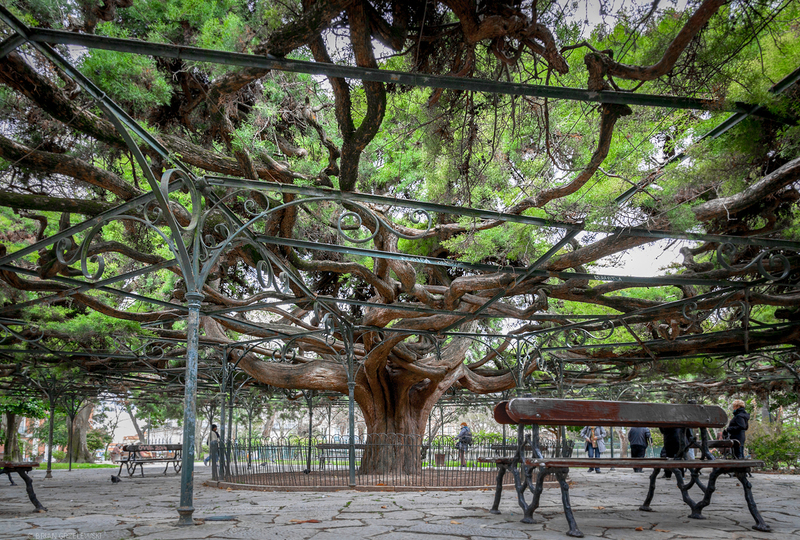 And the limbs are supported by a permanent metal structure. 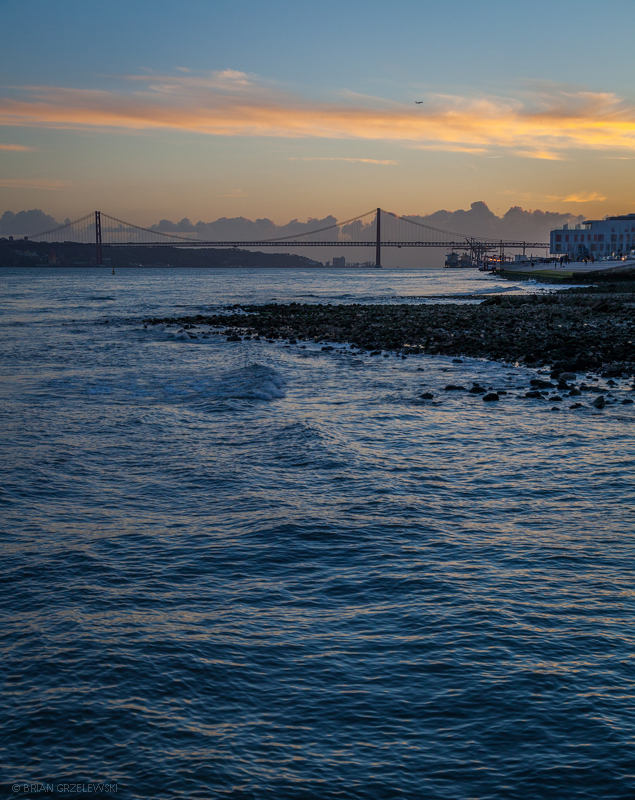 Our latest trip started in Lisbon, Portugal. 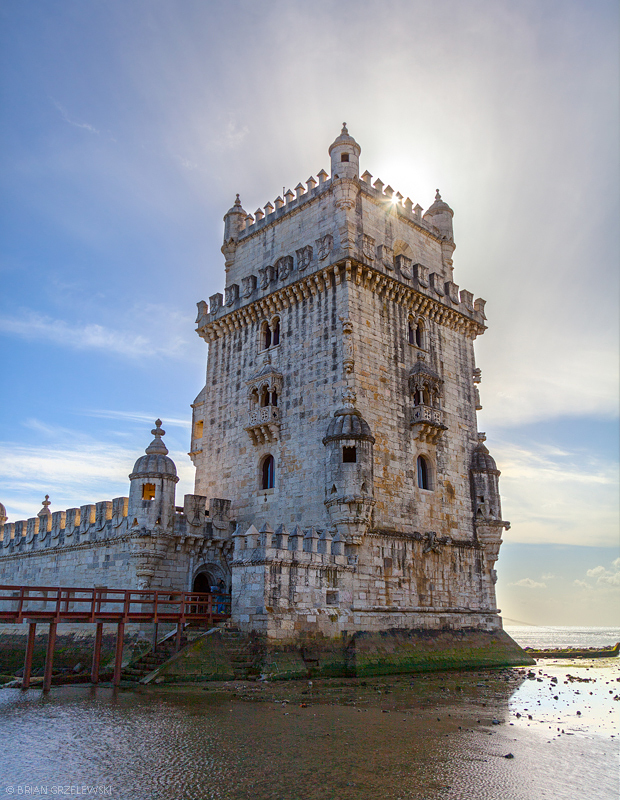 This imposing tower is at the entrance to Lisbon’s Tagus River.